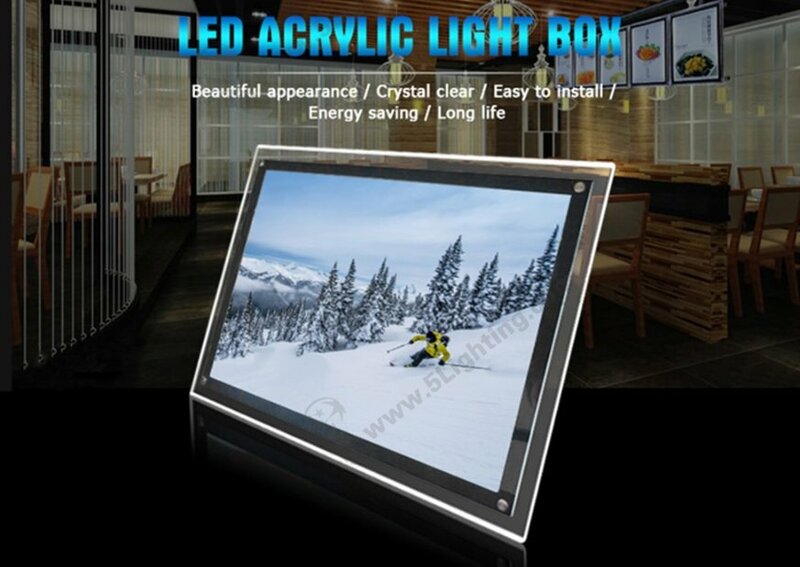 Our 5 star acrylic led light box is made of high quality arylic poster frame . 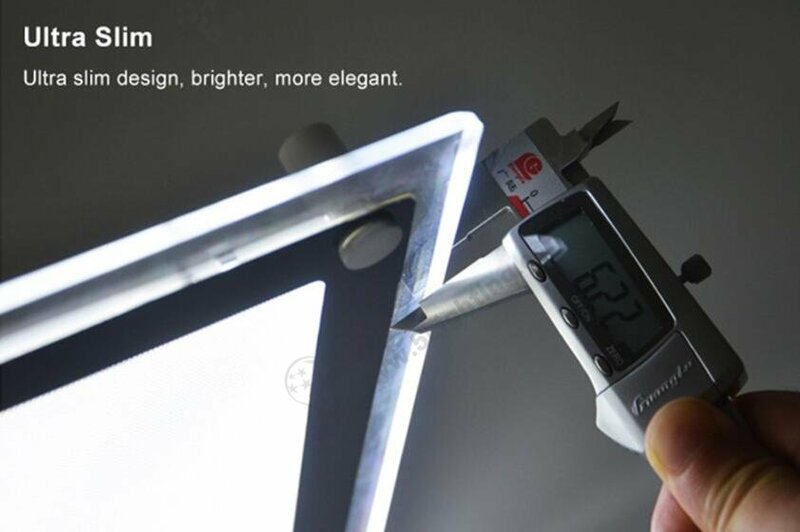 Illuminated with energy saving LED edge-lit . 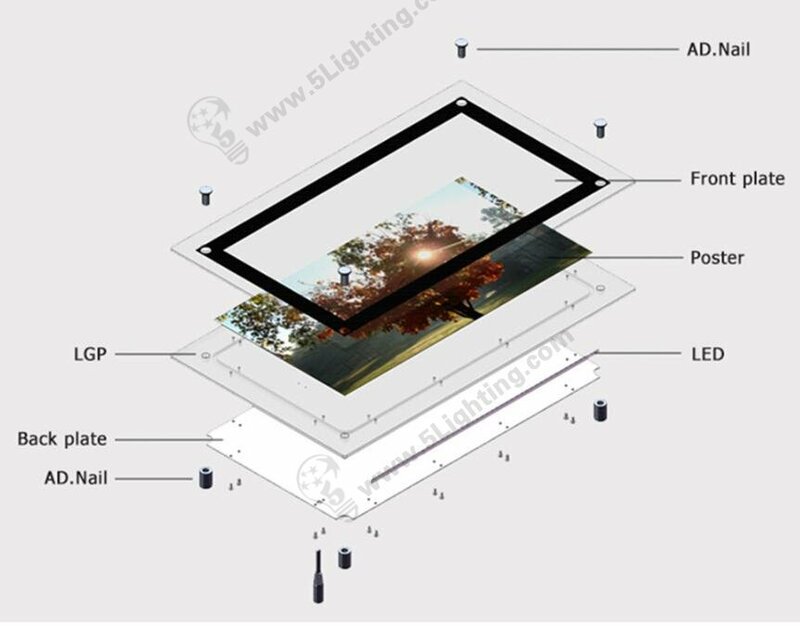 The print pictures can be install on desk in portrait / landscape orientation . 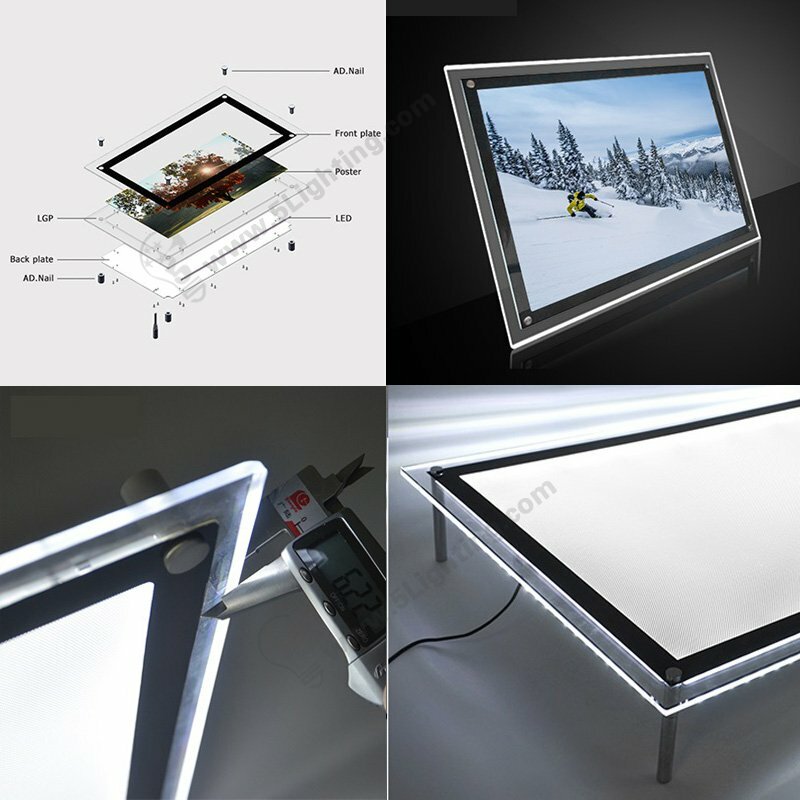 Our standard PMMA light box is single-sided, double-sides are available too . 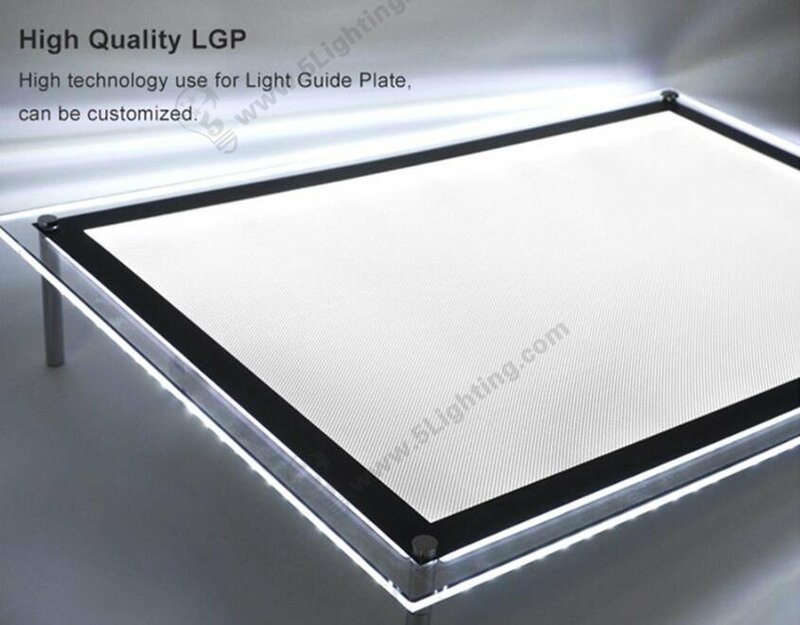 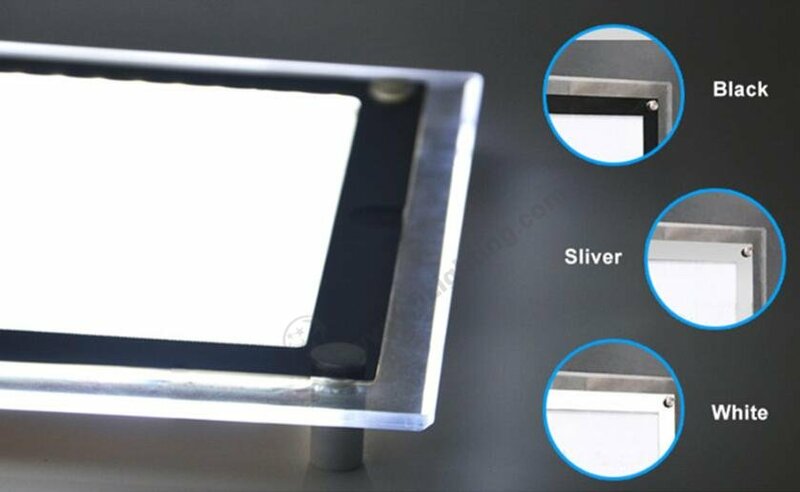 Beautiful appearance, crystal clear, easy to installing, energy saving, long life . 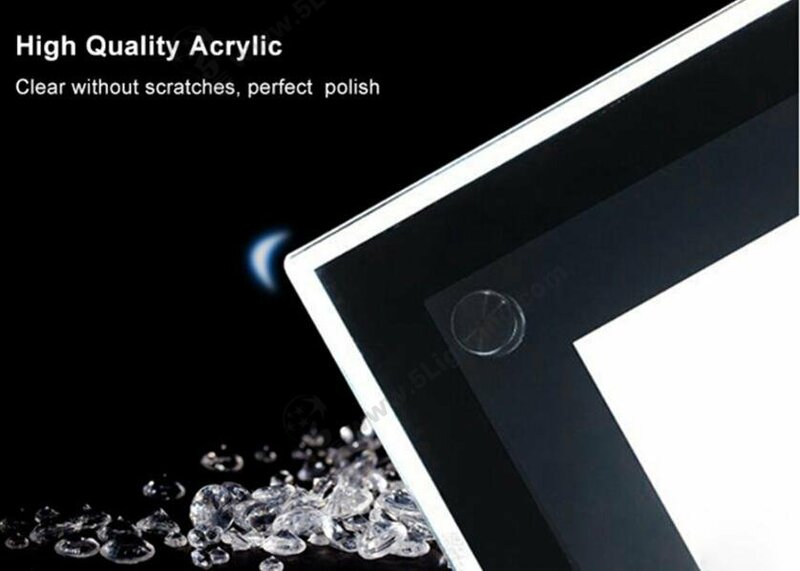 Excellent quality with 50,000 hours life span . 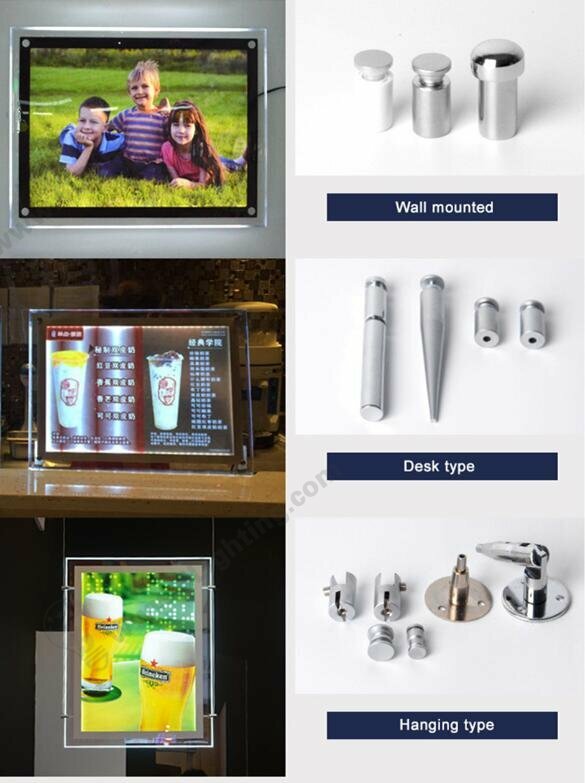 Kinds of fixing way for your choose, more creative : wall mounted / desk type / hanging type .